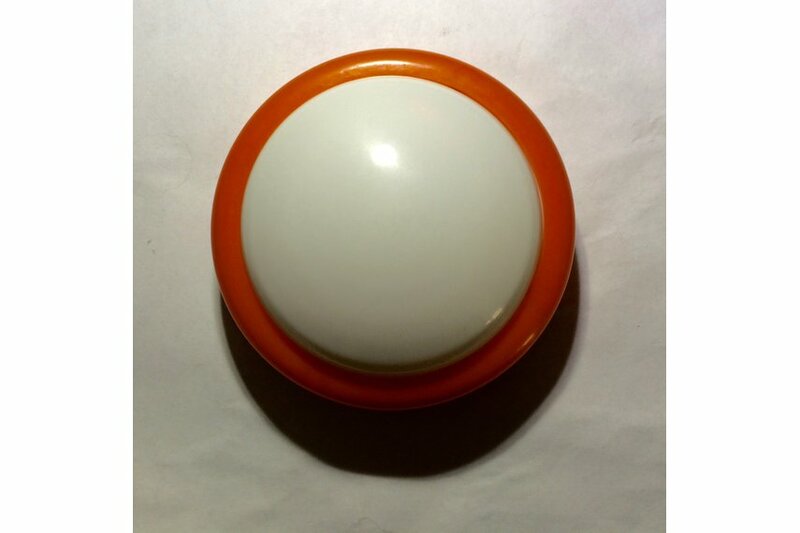 AButton is a WiFi connected push button. It support the #IFTTT application and its Maker Channel now. The project is modifying of the IFTTT Smart Button project from Noel Portugal. We use the APixel dev board and a casing of the push light to build the project. It can works with two AAA battery (1.5V x 2 = 3V). The push button "boots up" the module by sending a HIGH signal through a diode to CH_PD. The first thing I do in init.lua is to set GPIO02 to HIGH, which is connected through a 1K resistor back to CH_PD. When it done posting to IFTTT it just set GPIO02 to LOW and the module is disabled. Please check Noel Portugal &apos;s project. The initial code comes from him. Re-soldering the power wire to use only 2 x AAA battery. The original battery holder can install 3 X AAA batteries. Replaced the microswitch with one without lock. Change the stylesheet for the configure page -- Thanks purecss! The URL prefix for IFTTT Maker channel is /trigger/button/with/key/. You need input the token for the event at setup page. For OS X, please check the Makefile for uploading lua files.